Born in Lebanon in 1957, Hanibal Srouji is a MFA graduate from Concordia University. Since 2010, he has been living and working between Beirut and Paris, France. He has participated in numerous personal and collective exhibitions in Abu Dhabi, Basel, Belfast, California, Dubai, Geneva, London, Paris, Montreal, Morocco, New York, Singapore, Strasbourg and Tokyo. 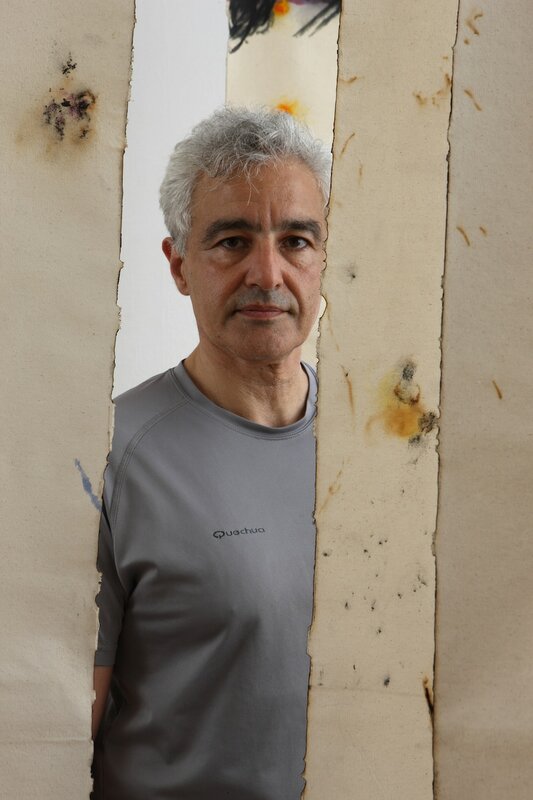 His work has been auctioned at Christie’s ans Sotheby’s and is part of famous public and private collections. He has held many prestigious teaching positions in France, Canada and the United States. He holds, since 2010, an Associate Professor position at the Lebanese American University. He has had many publications and has received numerous awards. Follow Intersections and find some of our works listed on Artsy, the leading art sales platform.